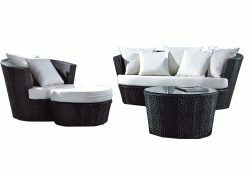 Our range of outdoor lounge furniture includes everything you need to take your luxurious lifestyle outdoors! 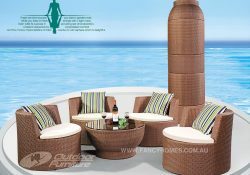 Contemporary styles, quality materials, and comfort features combine to create the best quality of outdoor lounge furniture Melbourne and Sydney residents are looking for. 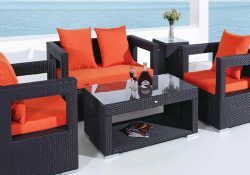 Fancy Homes make it super convenient to select and buy the right outdoor living furniture online. 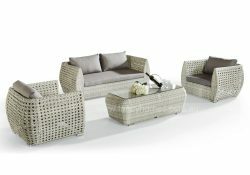 You want a wicker outdoor lounge that looks great and holds up over time. Whether you’re looking for furniture for relaxing by the pool or entertaining on the patio, we have the solutions for your lifestyle. 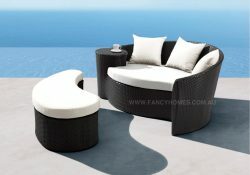 We understand the features that you’re looking for in your outdoor lounge furniture. 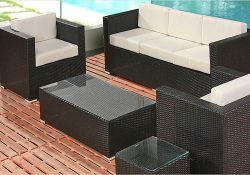 We’re here to make getting quality outdoor furniture as easy and affordable as possible. Start by choosing the style that suits your taste and perfectly complements your home style. 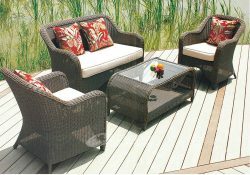 Read the list of features to see what really sets our wicker outdoor lounge furniture apart from the rest. Some important details to consider include UV resistance to prevent fading from sun exposure and rust-free aluminium frame construction. Many of our outdoor lounges come with easy to remove covers that make it easy to keep them clean. They are virtually maintenance free and they keep looking great for a long time. We even add extra cushioning to the seats and backs to make your time outdoors as comfortable as possible. 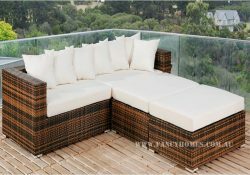 You could go shopping for outdoor lounge furniture in Melbourne or Sydney, hoping to find just what you’re looking for. A better way to shop is with Fancy Homes’ convenient website. We offer the best value in Australia and the most options for everything you need inside and outdoors!